Her dad went crazy. Her mom left town. She has bills to pay and a little sister to look after. 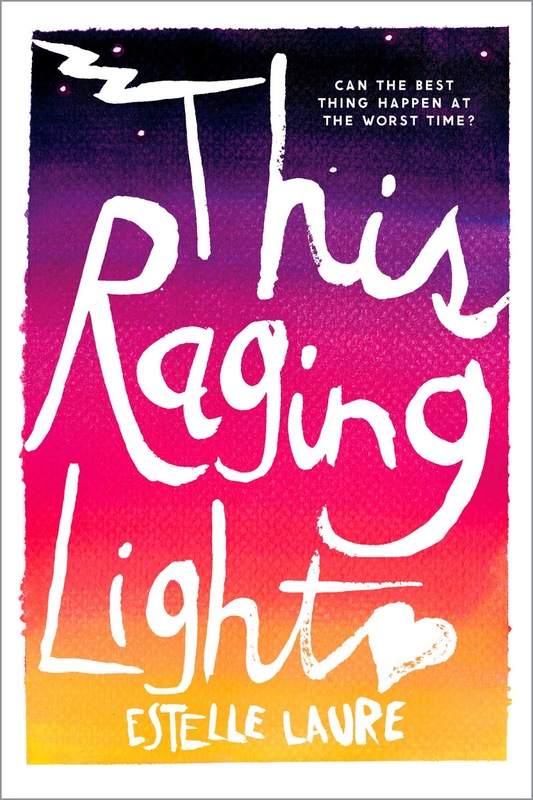 Now is not the time for level-headed seventeen-year-old Lucille to fall in love. 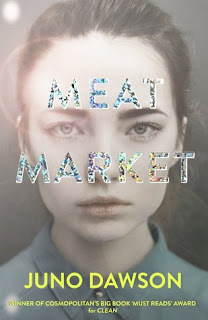 But love - messy, inconvenient love - is what she’s about to experience when she falls for Digby Jones, her best friend’s brother. With blazing longing that builds to a fever pitch, Estelle Laure’s soulful debut will keep readers hooked and hoping until the very last page. When Wrenny and I roll up the hill to Eden’s house in Mom’s ancient Corolla, Digby and his dad, John, are outside playing basketball, and I want to get in the house as fast as possible, because otherwise I might be trapped here all day, staring. I get a little twinge of something seeing a dad and his kid playing ball like dads and kids are supposed to. That’s a real thing, and my hand wants to cover Wren’s face so she can’t see all that she is missing. “Yeah?” She’s wiping at her shirt, reading a book on her lap, and she’s a little bit filthy, her hair greasy and knotty in spite of my efforts this morning. At some point the braids came out, and she’s reverted to wild. She stops. Tightens. “Yeah,” she says. “Well, we don’t want anyone to know about that, okay? “Like that she left us permanently?” There is so much more going on inside that Wrenny-head than I can ever know. “Of course she didn’t.” Lie. “Yeah?” I say, bracing myself for what’s next. I would tell her that I hate her new obsession with fat jokes, but I’m not in the mood for any dawdling, so I half laugh and get moving. I want to get inside and quick because there’s also the other thing. And by “other” I mean what makes me sweat just standing here. And by “thing” I mean Digby, who I have known since I was seven but who lately makes a fumbling moronic moron out of me, a full-on halfwit. Ask me my name when I’m in his presence and I’m not likely to be able to tell you. I’d probably just say, “Lllll . . . lllllllu . . .” and you’d have to catch the drool running down my chin. I know. It’s not at all attractive. But really. Tall, sweaty, and not wearing a shirt, so the muscles are all right there for the watching. He doesn’t exactly glisten, on account of the fact that he’s whiter than white, that he tans by getting freckles so he’s covered in them now after a whole summer outside. But seeing his hair all plastered to his forehead, his body so long and lean, looping around his dad to get the ball into the hoop, I want to fall out of the car and onto my knees in the driveway, say Lord have mercy, hallelujah, write sonnets and paint him, and worship that one little curve where his neck meets his shoulder that is just so, so perfect. Which is why when he says hi as I pass him, I barely raise a pinky in response. There are two main problems here, aside from the fact that he is Eden’s twin and that’s all kinds of weird. One, he’s had the same girlfriend since the dawn of time. They’re pinned, she wears his jacket, their marriage certificate is practically already signed. Angels bless their freakin’ union. 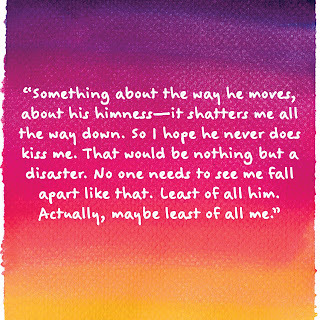 And two, if I ever did get a chance with him, like if he ever kissed me or something, I would die of implosion. I know I sound like a twelve-year-old mooning over some celebrity, and not the extremely self-possessed woman-tobe that I actually am, but something about him makes me lose my mind. 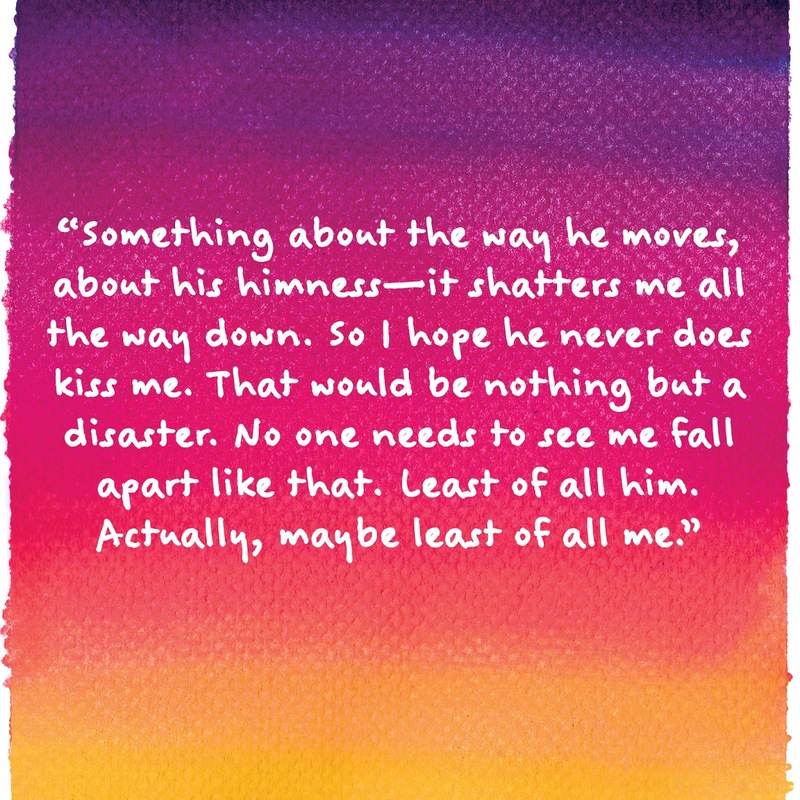 Something about the way he moves, about his himness — it shatters me all the way down. So I hope he never does kiss me. That would be nothing but a disaster. No one needs to see me fall apart like that. Least of all him. Actually, maybe least of all me. 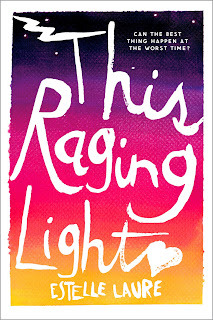 1 winner will receive a hardcover of THIS RAGING LIGHT and a bottle of Essie Nail Polish that matched the book cover. US Only. Ends on December 31st at Midnight EST!